Now this is my kind of gift! 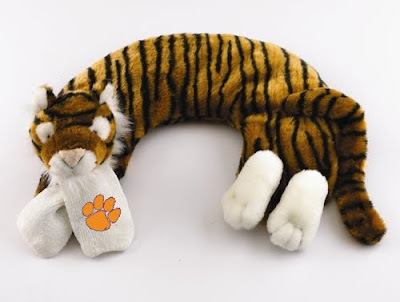 Pop this adorable tiger in the microwave for 2 minutes for about an hour of warmth. Wrap around your neck and relax! When it comes to Christmas shopping, let’s face it! It’s a jungle out there so it’s best to be prepared. Take a moment to think about what you want, make a list and even write down what shops you want to visit. If you don’t want to waste time on traffic, you can choose online shopping, like http://www.followsales.com Amazon, Walmart.Com. You should know the gift is not the most important. What matters is your heart. When you send a gift to person who you love, he\she will understand this gift is unique because of you . Another suggestion, you can write some warm words in gift card and tell him how you love them. You should enjoy the happy Christmas!